Nissan and BMW have been partnering on the development of charging stations to support their respective growing fleets of electric vehicles for a few years now. 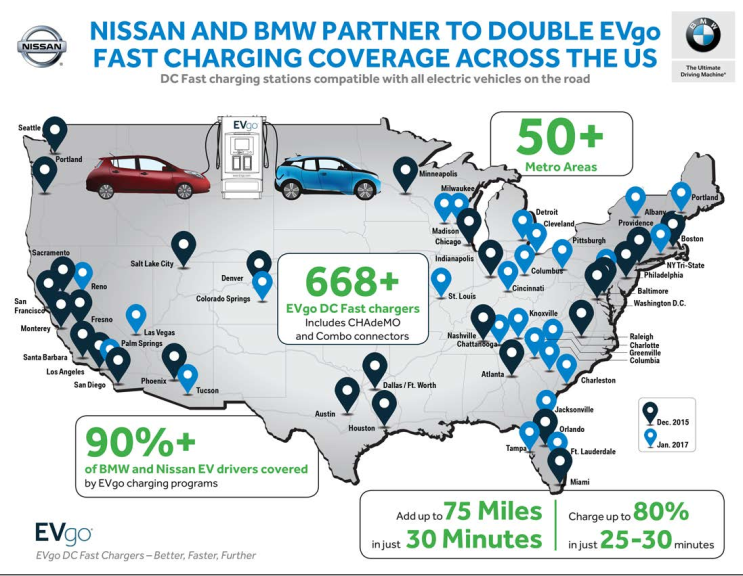 EVgo has been building the network in the US for the two automakers and it now includes over 668 DC fast-charging stations in over 50 metro areas. The companies are announcing today another batch of 174 new DC fast-charging station across 33 states. 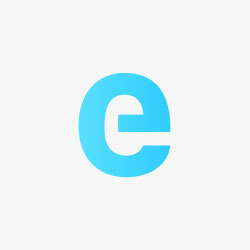 While the stations are specially built for Nissan’s fleet of LEAFs and BMW’s fleet of i3s, the network is publicly available to all electric vehicles with CHAdeMO or SAE Combo (CCS) connectors. Unfortunately, they are still only talking about 50 kW chargers, which are fine for the BMW i3 and Nissan LEAF, but it’s not exactly future-proof for upcoming higher capacity models. For example, EVgo recently broke ground on the first electric vehicle DC fast-charging station capable of 350 kW output in California. BMW is among a few automakers committed to build stations with the same capacity in Europe, but so far EVgo’s effort is the only one planned in the US. Chargepoint announced a new 400 kW charging architecture, but the company doesn’t operate many stations and instead sells them to other companies. While the system is impressive and we know it is coming, the deployment will depend on companies buying the stations and operating them. Though it’s currently only compatible with its own vehicles, Tesla’s Supercharger network remains the biggest high-power charging network. But with the new system coming out, we wouldn’t be surprised to see the partnership, like this one between EVgo, Nissan BMW, soon moving to solutions with higher capacities and create more competition.